Abigail Pierrepont Johnson is a Boston, Massachusetts-born American businesswoman best known for being the current president and CEO of investment firm Fidelity Investments. 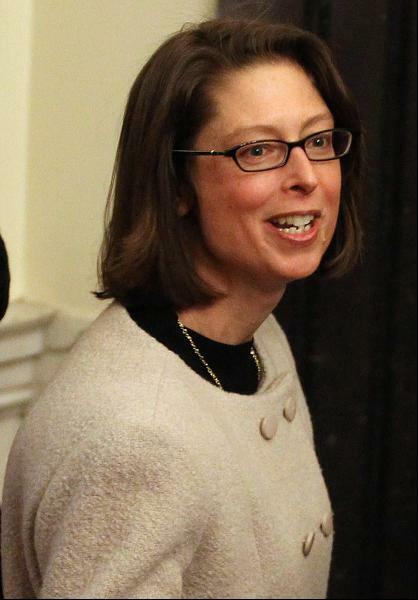 Born on 19 December 1961, Abigail is the daughter of Edward C. Johnson III and granddaughter of Edwards C. Johnson III, who was the founder of Fidelity Investments. One of the most successful businesswomen and executive at the present, Abigail took over as the CEO of her grandfather’s company in 2014. One of the richest women in the world, and an accomplished businesswoman in America, one may wonder how rich is Abigail at the present? As of early 2016, Abigail counts her net worth at $11 billion. Needless to say, all of her income is the result of her involvement in the field of business. Her more than two decades-long work in Fidelity Investments has been yielding Abigail millions of dollars every year. Raised in Boston, Abigail attended Hobart and William Smith College completing her BA with majors in art history and later graduated from Harvard Business School with an MBA degree. Given her birth into the family of businessmen associated with Fidelity Investments, her father the current chairman, Abigail was keen towards business as a student. After graduating she spent a couple of years at Booz Allen Hamilton as a consultant, before starting her career as an analyst and portfolio manager at Fidelity in 1988. Her skills in observing and analyzing businesses got her promoted to successive executive positions in the company. During her career, she was appointed in several senior executive posts before she became the president of Fidelity Investments in August 2012. She was later appointed as the CEO of the company along with her previous post of president. Her career in Fidelity Investments has been the most significant when it comes to her ever-rising net worth while this has also made her one of the most accomplished businesswoman in America as of now. Apart from Fidelity Investments, Abigail is also serving with several other organizations. She is one of the members of the Committee on Capital Markets Regulations, and at Securities Industry and Financial Markets Association, she serves as one of the members in their board of directors. Along with this, she is also the first and so far the only woman serving at Financial Services Forum on their board. All of these positions have managed to help Abigail become one of the most highly regarded businesswomen in America. She was also ranked at 19 in the list of the most powerful woman in the world as published by Forbes magazine in 2015. One of the most influential women who has a big name in business, 54 years old Abigail has been married to Christopher J. McKown since 1988 and has two children from the marriage. At the present, Abigail has been enjoying her career as a highly accomplished businesswoman and executive while her present net worth of $6.5 billion has been helping her have a financially secure life while catering to her every need.